So you got promoted and you want to move somewhere closer to work. Or perhaps now is the first time in a long time that you have free days to spend on doing some home improvements (or at least overseeing them). Either way, you’re making a good decision because home improvements can greatly boost your home’s value. With this starter budget, one of the best things you can do is to replace your outdoor lighting. Remember that curb appeal is important. If buyers don’t like what they see when they drive by your house, you can be certain they won’t take the time to check what’s inside. If you already have amazing outdoor lighting, you can have a small landscaping project done. A beautiful front yard with a small tree and some flowering plants is always appealing. Choose plants with yellow flowers because yellow attracts the eye and brightens up a space. If you’re planning to sell your home, you might want to have it thoroughly inspected by a professional first before you do any home improvement project that is worth $500 and up. The inspector will be able to tell you which projects should be prioritized. After all, you don’t want to waste your $500 on a cosmetic remodel when there are structural problems to be addressed. If your home’s structure is in pretty good shape, you can simply give your exterior a fresh coat of paint. Make sure that you include all the shutters and trim. If you’re planning to stay awhile longer in your home but want to boost its value, you can also spiff-up your garage by coating its floors with durable paint and installing sturdy shelving or peg boards. With that budget, you can also hire a professional to power wash your walkways, as well as your deck or patio. With $1000 you can finally say goodbye to those broken or outdated furniture and rugs. You can replace them with key items that would inject some colour and more modern appeal to your home. You might want to purchase a “smart” thermostat so you (or your home’s buyer) will be able to save on energy costs. If you already have all that, you can invest your money in a new front porch so your home will have a more welcoming entryway. This is especially important if the architecture of your home is a bit flat, or your existing porch looks a little too dated. You can do bathroom update. Perhaps it’s time to add some bold prints on the walls and replace all fixtures with more modern ones. Don’t hesitate to try less common metals like chrome. You can also choose to have a solid countertop to finish the look. You can also repurpose rooms. Transforming your attic into a bedroom or your basement into a game room or gym can have good ROI. You can also add a deck if you have enough space. Most real estate pros will tell you that the kitchen is the most important room in the house. It is only right that when you have enough cash, your kitchen is the first part of your house that you should pay attention to. Replace cabinet doors if possible. You can also replace the flooring the house’s common areas. You might want to consider bamboo flooring which is a beautiful yet inexpensive option. Check your windows and see if you can replace them with more energy-efficient ones, too. 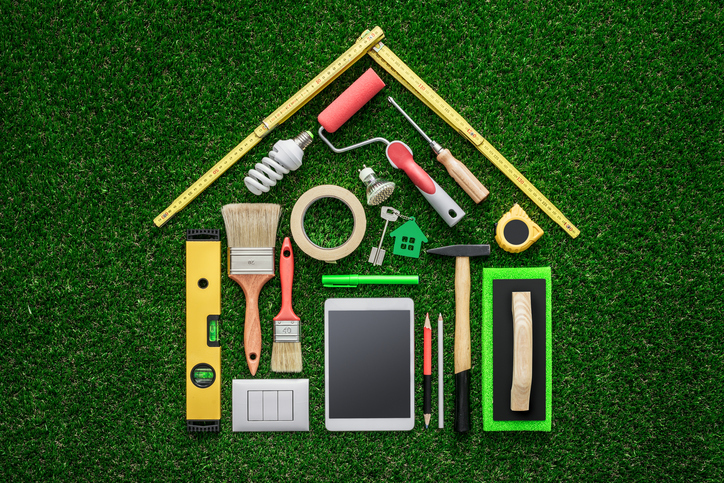 What home improvement project are you planning to do to improve your home’s value? Do let us know! This entry was posted in Home Renovations, Home Staging, Home Value, Real Estate Agent, Real Estate Investments, Real Estate Tips, Selling and tagged home improvement projects, home improvements, home sellers, Home Selling, selling homes. Bookmark the permalink.